Highland Council has launched a review of its planning policies following a groundswell of concern about planners “playing God”. Councillors, planners and legal advisers met last week to start discussions which are expected to last many months. 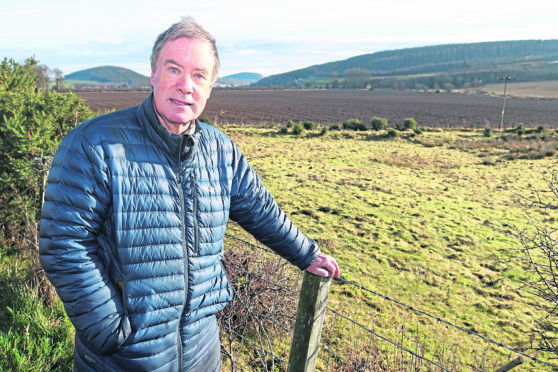 Black Isle councillor Gordon Adam sits on the council’s north planning committee, and argued that reasonable applications were often defeated by the planners’ strict interpretation of Highland Council’s Housing in the Countryside Policy. He said: “Many councillors felt that policy discriminated against individuals and that planners were more concerned to prevent abuses of the system than encourage genuine applicants. Citing an example in Munlochy, he said: “At issue was a sliver of wasteland, bound by a road, a track and a burn, useless for agriculture, but a great site for a house. “The applicant had been trying for over a year to have her application to build approved, but the planning officers weren’t at all keen. “Planning policy says that if there are three houses already existing, a fourth can be built to ’round off’ a group. “The problem here was that there were only two, so in the interests of upholding policy, the recommendation was to refuse planning permission. We were unable to come up with material reasons to overturn the refusal. Mr Adam argued that it was important for decision makers to listen more to applicants and communities and to be more flexible in how they assess applications. North planning committee chairwoman Maxine Smith has frequently called for reforms. She said: “Over the years due to the strict rules many people have had their dreams shattered. “I think we should be taking a new line of looking for reasons why a development can go ahead rather than reasons why it cannot. The council’s environment, development and infrastructure chairman Allan Henderson said: “The planning policy review meeting was very useful for planners and our legal department to hear the concerns of councillors. “They’ll now go away and see how to adjust policy, given that they have to work within the Scottish guidelines.